Every tree in San Francisco will soon be accounted for online, thanks to a new, Wikified project that aims to plot them all. The Urban Forest Map will officially launch Wednesday, drawing on tree information collected by the city of San Francisco and Friends of the Urban Forest, a non-profit group. Though the project is getting its start in the Bay Area, the site will head to other major cities in the coming months. 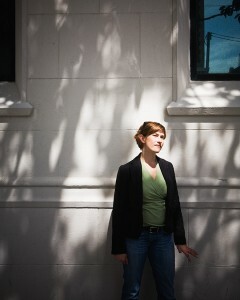 Amber Bieg has been working on the urban forest mapping idea for five years. While questions about the usefulness of citizen-acquired data dog some of the efforts, photographing and tagging the trees in your neighborhood may be a perfect application for citizen science. Conducting tree surveys is expensive for local governments, costing $3 per tree, Bieg estimates. This is a great project in LA. Mapping trees in many countries and cities would permit to track risks of genetic erosion and educate ourself about true and free beauty. We started in Asia with http://www.pericopsis.org/. People should give a try to botanic, even with common species it’s really rewarding as hobby and for everyone.